Douglas Faust Blackledge was the best of us. Doug had it all - charm, sense of humor, great intellect and athetic ability, love of animals and children, all behind a winning smile. 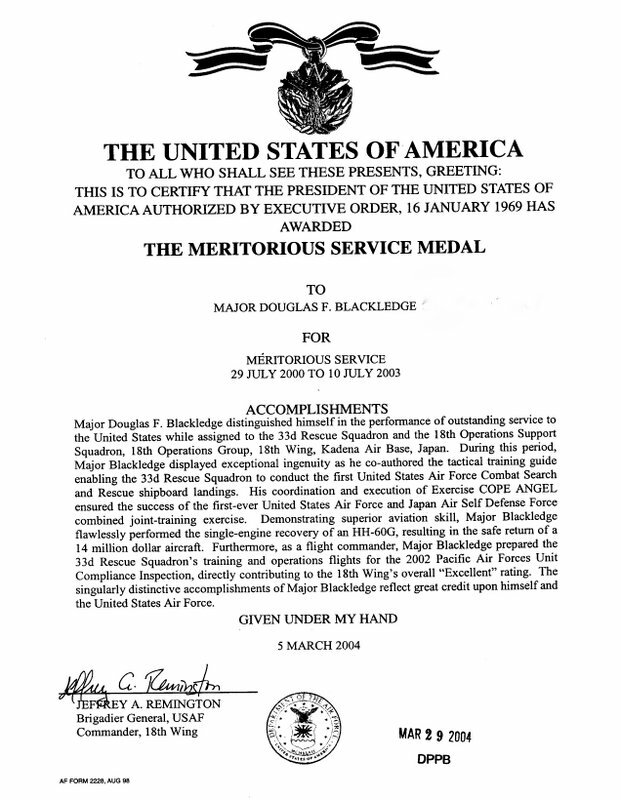 Retired USAF LtCol and HH-60G Pave Hawk Helicopter Pilot. Combat Search and Rescue Warrior who was working on his Masters Degree in Finance when he left this world. Contrarian and Daedalian. We will treasure our memories. Doug died alone (save for his loyal dog Tyson) at home in Melbourne, FL in January 2016, possibly around the 13th. He was found on 5 February. This memorial site is to commemorate Doug's 45 years of Life. And on that score, there is much to rejoice, much to celebrate. He was the best of us. A man who so freely shared his friendship, loyalty, support, kindness, and ready smile with all. He felt honored to serve his country, as I feel honored to share his name and his 45 years of an all-too-short life. Farewell Chopper Pilot. You have new wings now, and they are eternal. - Peter Blackledge. It's with a heavy heart that I write this now. I knew nothing of your struggles, for every time you and I met you were smiling and happy and glowed with a love of life. I'm sorry we didn't have the time to get to know each other better. Could I have helped, I don't know. But I wish I could have tried. Doug was the oldest of two sons born to Mike and Helen Blackledge. Doug had that same deeply sweet character that his mom had (and also his grandmother), but that all three protected fiercely with heavy overlays of hardened exterior presence, each in their own fashion. But that central core contained such a wellspring of understanding, care and compassion that was quite unmatched in most people. That sweetness and delight in living showed through in many of the photos that are posted in this Memorial page. Yes, he was legitimately tough in the work he performed, but these central-core moments were given rein in his private moments. We will miss that sweet person from our immediate midst, and we carry his memory with us in our private space on a daily basis. It has taken me five days to be able to contact you. The devastating news of your son's death broke my heart and left me in tears. (Having a son, also retired, almost the same age and an aviator, hit very close to home emotionally.) Your Doug, so handsome with a million dollar smile, was an extraordinary man who served his country with honor and distinction. He did you proud! Whatever his issues may have been can never diminish the magnificent person he was. Take comfort in knowing he is in his mother's arms and care now and all is well. My prayers, thoughts and heart are with you, Bonnie and all your family as you work through these painful days. I'm so sorry that Doug is gone. I really liked him! And despite jokes to the contrary, I was happy to be his "older sister" :) I will always think of him smiling - that is the only way I ever saw him - and I will always remember how your face lit up when you talked about him. I know there was worry there for you too, but for me, Doug will always be the kid with the huge smile who was a source of pride for a loving father. It is difficult to deal with the shock of Doug's death. We were all so blessed when Doug and Christina were added to our lives a month apart. We shared those early years in Colorado Springs together through the happiness and worries of pregnancies and then to the challenges of adjusting to babies. We learned early that our offspring are individuals and we do not control our children's lives. They have their own passions, personality, and motivations. Sometimes they let us paddle the boat, but they want to control the tiller. Sometimes we can see what is coming up better than they can from their position on the tiller. We can be grateful for every day we share with them and every joy they brought into our lives. Doug accomplished many great things in his studies, his career, his sports, his interests and especially his friendships. We want the best for our offspring and release from pain and sorrow is everyone's desire. Doug is at peace and has escaped from problems which were beyond his solution. Although his time was cut short, you can take comfort in Doug's many accomplishments, relationships, service to his country, and love for his family. There are many memories that can be cherished. We are remembering our times together as families, and send our sympathy and love to you. 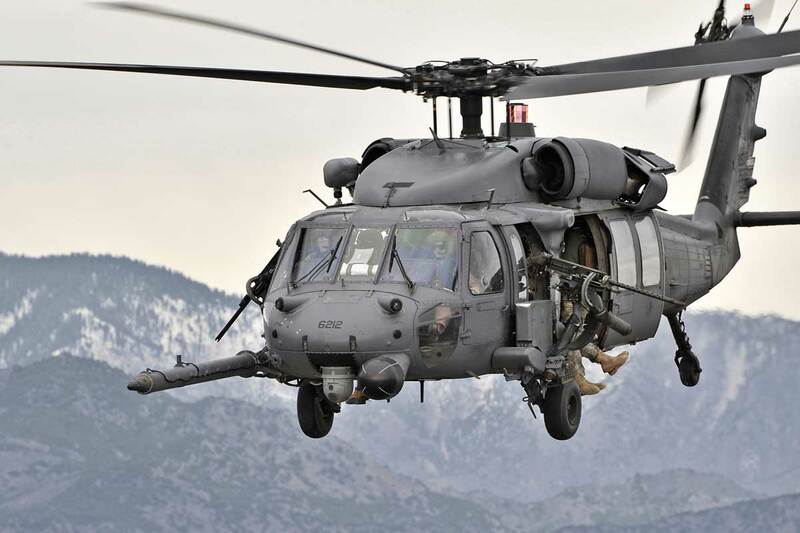 Doug proudly flew the Air Force HH-60G Pave Hawk for Combat Search and Rescue. 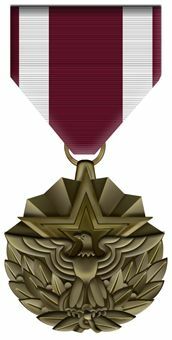 He earned numerous awards and decorations during his 22 year career, highlighted by the Meritorious Service Medal (with 1 oak leaf cluster), the Air Medal, and the Aerial Achievement Medal (with 3 oak leaf clusters). 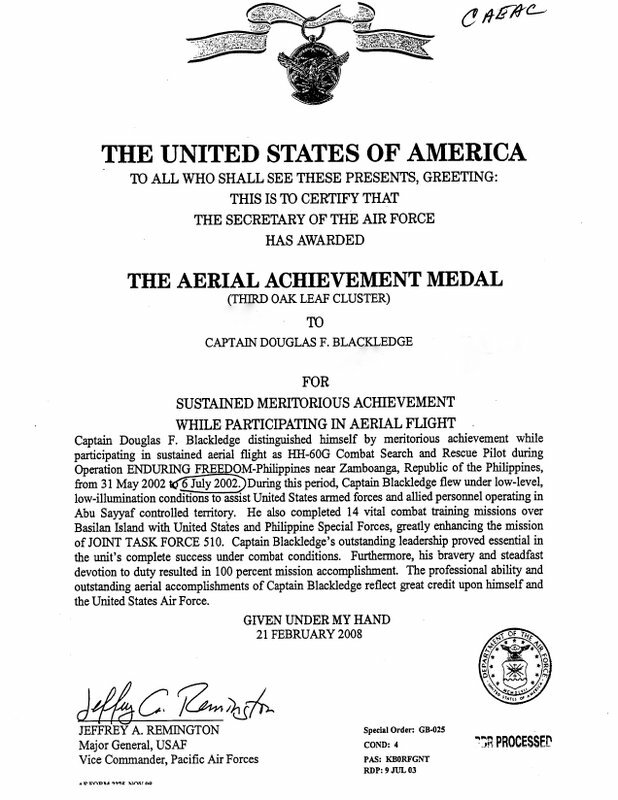 On 5 Dec 2014, Doug provided: "Here's another graded assignment for your reading pleasure. We went over Classical vs. Keynesian theories. Rush Limbaugh used to joke (during the period when Obama's birth record was in question) and recommend when discussing politics, state "My problem with Obama is that he's a Keynesian"... of course, the not so savvy liberal will typically respond "I don't think it matters where he was born, I still love him!" LOL! "Question #4, the only one I got points deducted, I responded to the professor that I wasn't quibbling or requesting a change in grade, but wanted to point out the fact that I stated the MPC (Mean Propensity for Consumption) is a ratio, so it doesn't matter if your rich or poor (my "MPC is blind" statement), therefore I addressed every spectrum of the wealth range. ;-) No response from him yet." "Additional good news, the Orion capsule successfully launched this AM! It will splash down off of Baja California in about an hour." Obituary: Doug's obituary was published in the print Albuquerque Journal on 26-28 February 2016 and can be viewed on-line here. It includes a Guest Book for friends and family to add photos and remembrances. 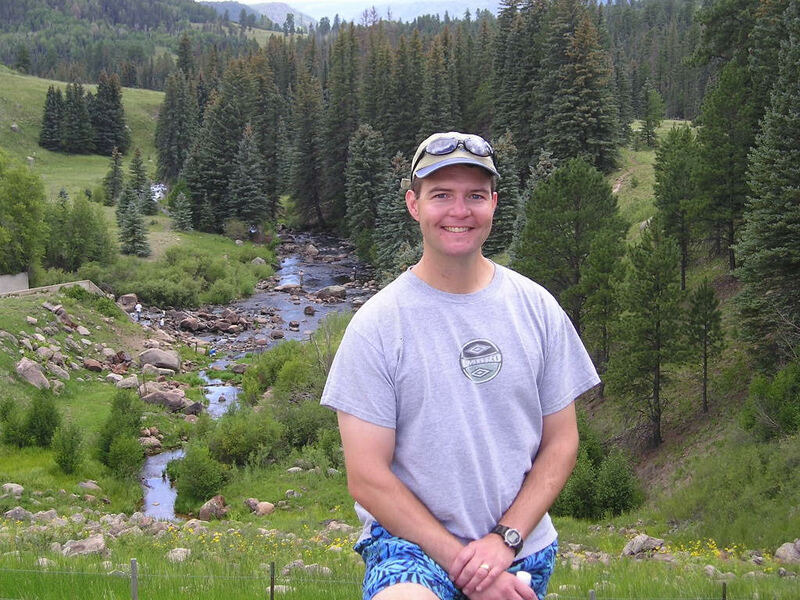 Interment: Doug was born in Colorado and died in Florida. His 22 years of military service took him throughout the world. His body was cremated and his ashes were returned to his childhood home in New Mexico. He was interred at the Santa Fe National Cemetery on a beautiful sun-filled, light breeze New Mexico Friday on 4 March 2016, attended by flying comrades, high school friends, and family. His final resting place is near where his mother Helen is interred. Helen is in Section 23, Columbarium Wall #1, niche C80. Doug is just across the street, in Section 23a, Columbarium Wall #4, niche C27. Visitation hours for the Santa Fe National Cemetery are seven days a week, sunrise to sunset. Memorial Reception: Doug's family hosted a Memorial Reception at his childhood home in Albuquerque following the Santa Fe interment. 70 high school friends and family came to tell stories, reacquaint themselves with each other, and reminisce about Doug. Paul Martinez said of this event, "Thank you, Mr. B and Bonnie. In spite of the circumstances I loved that day. You guys made it happen. That day of pain and joy will live in us forever. Im happy with that. Your mexican son, Pjm"
On-Line Memorial: In addition to this web page, Doug has a (permanently maintained) FindAGrave.com memorial which can be viewed here. This year we lost a fellow Monarch in Douglas Faust Blackledge. To honor his Life and Memory, close friends of the Blackledges, in coordination with Michael Blackledge and Manzano High School, have started the Douglas Faust Blackledge Memorial Fund for the express purpose of benefiting the Manzano High School soccer and wrestling programs, and so that friends and family of Douglas have a vehicle to support this effort. Douglas was a 1988 graduate of Manzano High School, where he participated on the soccer and wrestling teams, to include the 1987 Manzano State Championship Soccer Team, and graduated in the top 5% of his class. The Memorial Fund will be used for student athletes at the discretion of the head wrestling coach, head boys soccer coach, and the athletic director to ensure that student athletes in need can fully participate in soccer or wrestling. Athletic physicals, atheletic medical insurance, equipment, team-specific apparel, athletic uniforms and and other items deemed necessary for equal participation. This is an excellent way to honor Doug’s life and to remember his passions and achievements. The soccer and wrestling programs at Manzano offer vehicles for young men to release their energies, focus their attentions and create the mental discipline to be good students. The Memorial Fund can make a difference in the lives of students in your community. It is wonderful that the staff of Manzano High School already has plans that include honoring players for their leadership and character with awards tying them to an outstanding graduate of the school. Doug’s memory can live on in special way to honor his life and contributions to Manzano’s programs and to inspire young men to excel in their own ways and to reach their potential through sports. We applaud the creation of this memorial, a loving tribute to Doug who personified teamwork, loyalty and dedication. The memorial also provides an opportunity for you to promote interests that you shared with Doug, honor his life and benefit your community. That Others May Live Foundation mission is to assist with providing a college education for every child who has lost a parent during an operational or training Air Force Rescue mission as well as provide immediate tragedy assistance and Warfighter appreciation events. that provides programs, services and live entertainment to United States troops and their families. assistance that he vowed to support them. 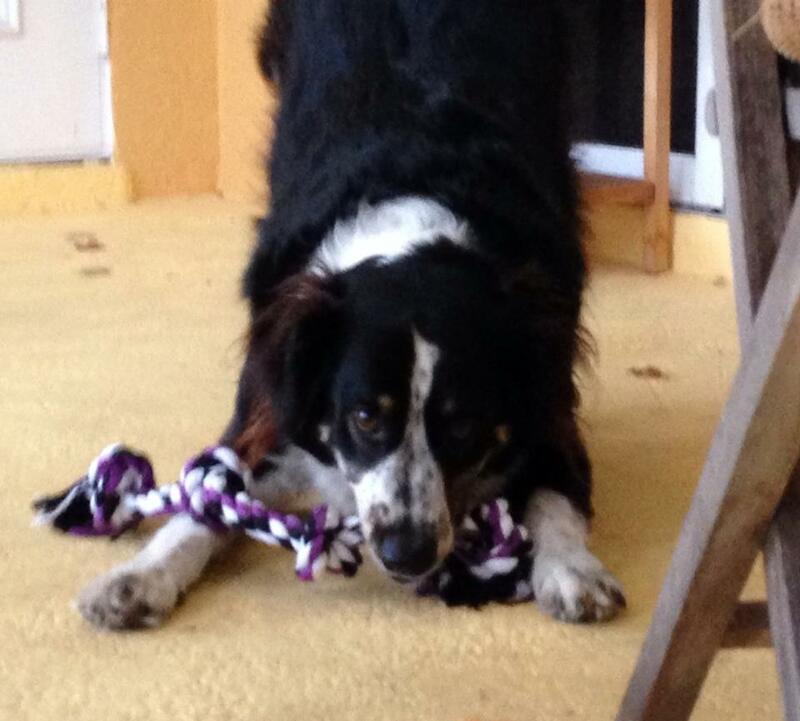 "I am very pleased to say that we found Tyson a new home this afternoon. I met the new owner personally and witnessed the interaction between her and Tyson, and am comforted by the belief that Doug would approve of Tyson's new family. The new owner has assured me that I am welcome and encouraged to visit him at anytime after a brief settling in period....so grateful to still have that connection with Doug, even after his passing." A campfire dog, just sleeping like a log. A reminder of Doug who loved him so much. Where Tyson may join Doug in Heaven again. Dear Mike, Sometimes words associated with man's best friend, like Doug's Tyson let you know that he didn't die alone. Just know that God's decision was the best one, and I'll continue to pray for you, Bonnie and all who represent the BLACKLEDGE honor.